Let roast stand at room temperature for 1 hour. 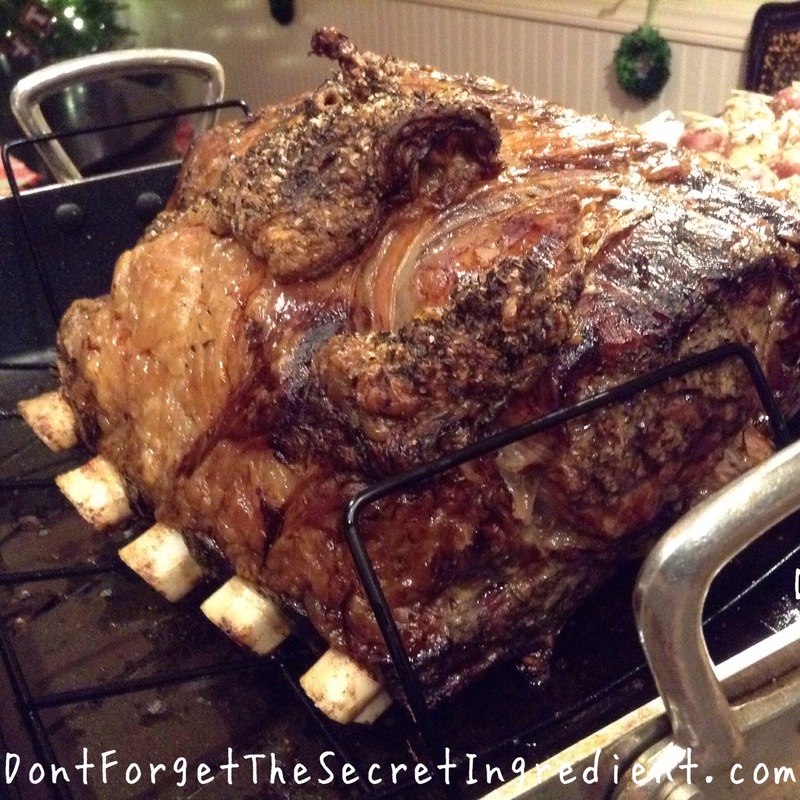 Place roast, rib side down, on a rack set in a roasting pan and rub all over with salt, pepper and herbs. Roast the meat ribs side down for 30 minutes, then lower oven temperature to 375°F. Continue to roast for about 12-15 per pound until an instant-read thermometer inserted into the thickest part of roast, without touching bone, reads 125°F for medium-rare, about 1 1/2 -2 hours more. Let rest for 30 minutes before slicing. About 30 minutes before roast is done, peel and cut the onions in half, then brush them all over with oil and arrange on a large rimmed baking sheet. sprinkle with ground sage and salt and pepper. Place in the oven with roast. When roast is done, increase oven temperature to broil, move onions to a higher rack, and broil until tops are slightly charred and caramelized, about 5 minutes. Slice roast, arrange on a platter with onions and serve.